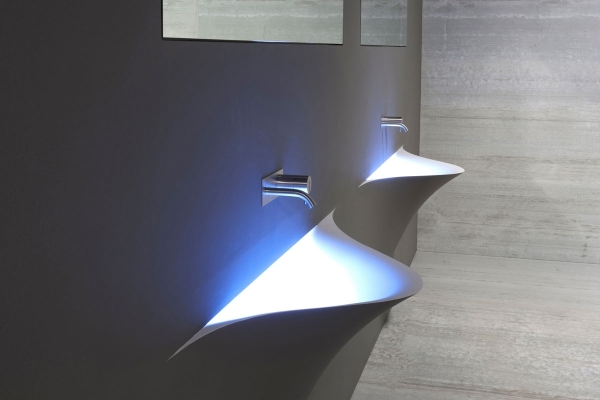 Designed by Domenico De Palo for Antonio Lupi, Silenzio is a beautiful wall integrated modern basin. 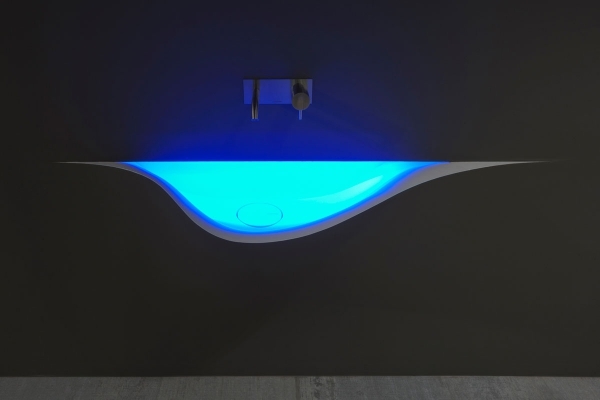 The basin is made of Corian, a durable, non porous, and stain resistant material. 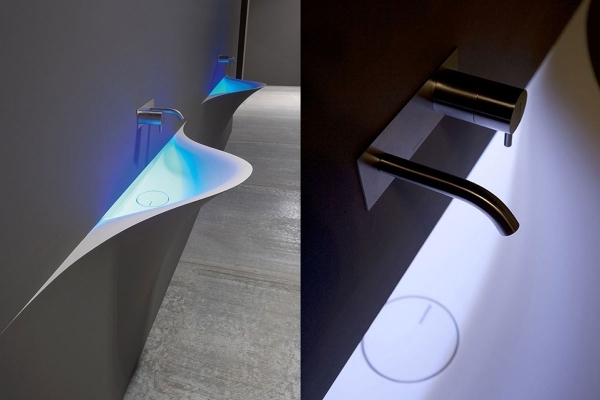 This modern basin has beautiful curves, and the white and bright blue look fabulous together. The drain takes the shape of a circle and a line, keeping the design simple and sleek. On the wall, gorgeous fixtures complete this magnificent and unique basin. From this view, it almost looks like you’re looking into the bottom of a small pool. 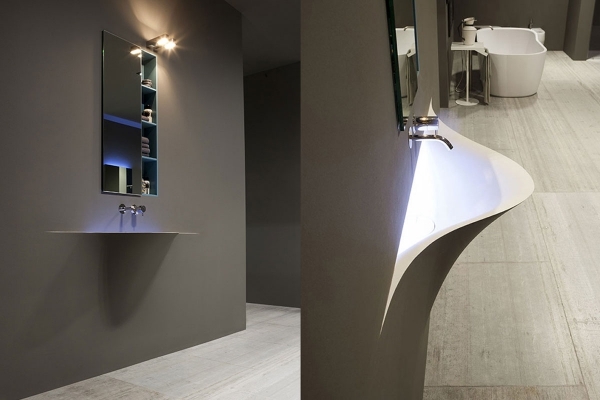 We love the way this basin flows out of the wall. As you come up from the bottom of the wall, it curves out, then flows out into a horizontal line on each side, creating a spout-like appearance. The horizontal line at the top looks like a slit in the wall. It’s almost like someone pulled back part of the wall, and then molded it into an elegant curve. 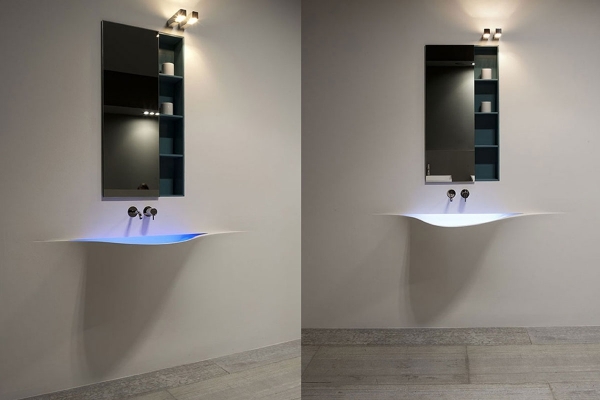 The lighting allows the modern basin to stand out, making it a bit easier to find: functional and attractive. There’s an intriguing factor in this gorgeous basin. We can imagine walking into a home and wondering about the bright light on the wall. 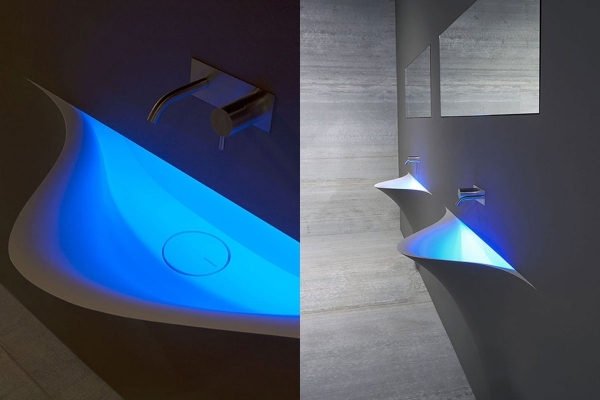 You can change the color of the sink at a moments notice, and you can customize the color of the light. 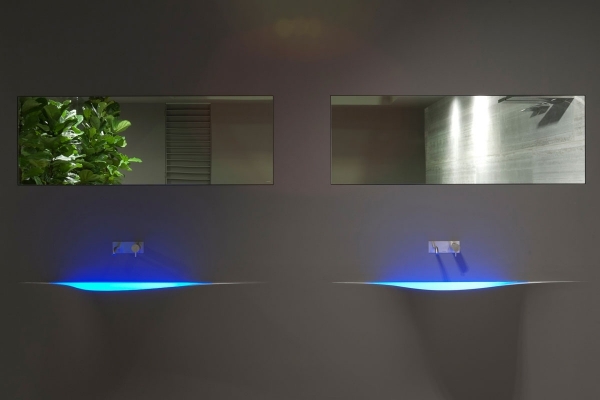 So say you want to tone down the whole bright blue light thing, you can use a white light, allowing it to blend in perfectly with the rest of your home décor. 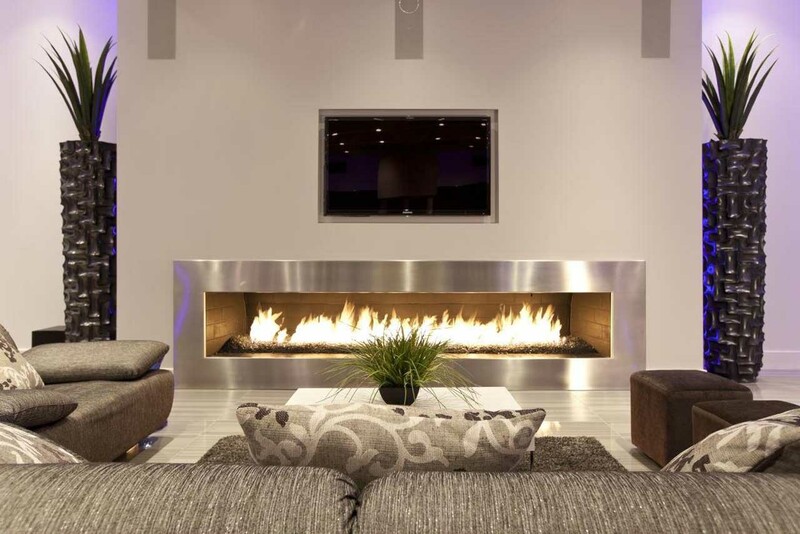 This amazing design would not only complement a modern look, but it would also elevate it. It has that “of the future” feel, adding a bit of excitement and energy to modern décor. We also think it would be beautiful in a contemporary or eclectic design. 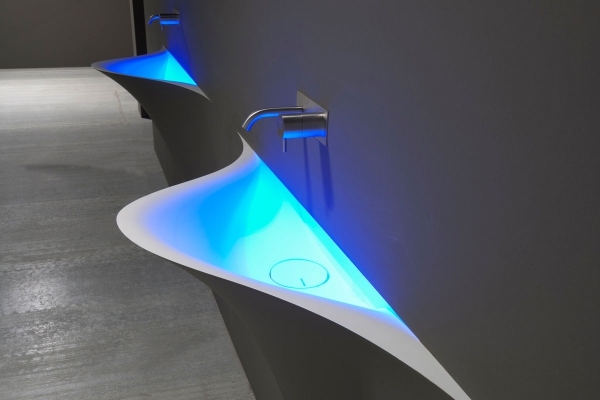 What do you think about this modern basin? Could you see it in your home?